If you have a been charged with DUI in Blue Ridge, Georgia or Fannin County please give our office a call to discuss your case. Bill Hardman has represented people charged with DUI throughout the State of Georgia. He is from Gainesville, GA and has represented clients charged with DUI throughout North Georgia. Do I need to send a 30-day letter? Can I apply for an Ignition Interlock Device Limited Permit? 1) The first thing that you need to do after being arrested for a DUI in Blue Ridge is to speak with a DUI-specific attorney that knows what you need to do in your case and the steps you need to take. Your attorney should be able to explain all of your options with regards to your case and your driver's license. 2) Potentially the first deadline or time-sensitive issue you will have is whether or not you need to send in a 30-day letter to appeal any administrative suspension of your license, or request a limited permit with an ignition interlock device. By sending this letter along with a fee of $150, you are waiving your right to an ignition interlock device limited permit (if that was available to you) and requesting a hearing to challenge the administrative suspension of your license. Depending on the specific facts of your case, one or the other of these two options may be more beneficial than the other. You can read a detailed analysis of these procedures and options HERE. The purpose of motion hearings in DUI cases is usually to suppress some of the evidence in your case. If any of the evidence was illegally obtained or if the officer did not perform the field sobriety tests in the correct manner, the evidence or results of these tests may be inadmissible in any future trial of your case. 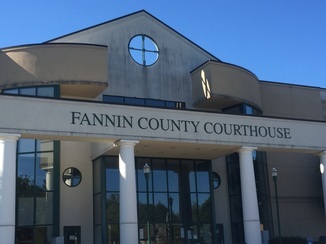 Motion hearings in criminal cases are recorded and a transcript of the hearing may be useful for cross-examining any witnesses on any changes in their story at trial. After motions, your case may proceed in several different directions. You may enter a plea to your original charges or reduced charges, or demand a jury trial or bench trial. Your lawyer will be able to help you determine which option he/she believes will result in the best outcome in your case based on the law and facts. It is always your decision as to whether or not you want to enter a plea in your case or proceed to have a bench or jury trial. If you have been arrested in Blue Ridge, GA, you will need a lawyer that is familiar with the DUI laws in the State of Georgia. The laws are the same in Blue Ridge as they are in Atlanta but the people that are sitting on your jury will not be the same. Bill Hardman has practiced DUI in Atlanta and throughout the State of Georgia but has always considered North Georgia home. We believe if we can relate to the jury and tell them the truth, we have the opportunity to obtain a not guilty verdict in your trial.